Oh, hello there. I didn’t see you. I was busy gazing at these babies. These are the perfect holiday party treat. They are easy to make and even easier to eat. My friends Matt and Shara (holla!) brought these to our 3rd Annual Fakesgiving and they were the hit of the party. 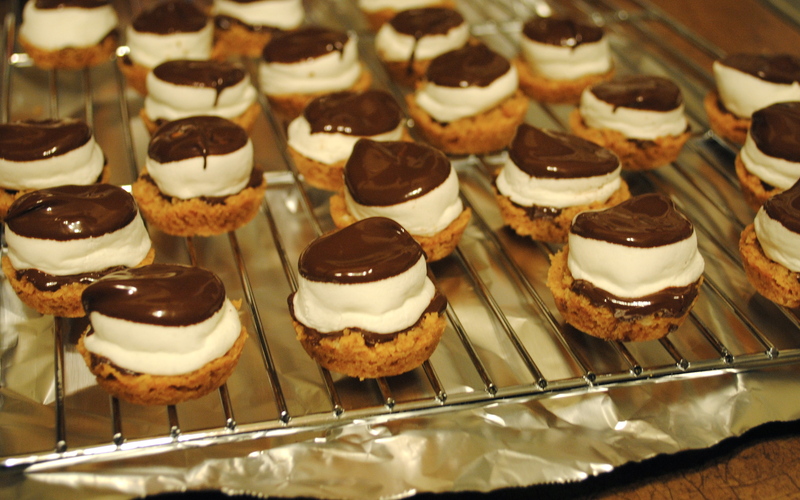 I made them for a party last week and it took every ounce of will power in me to only eat one before heading out. I opted to cut off the screen shot before the nutrition facts because really, who needs nutrition facts on a dessert? I don’t have too much to add (for once). The only change I made was that I bought Ghirardelli chocolate bars instead of the Hershey-type bar I was supposed to buy. As a result, I had to cut each Ghirardelli square into quarters which took all of thirty seconds. I find it pretty funny how far The Pampered Chef will go to try to sell you stuff. 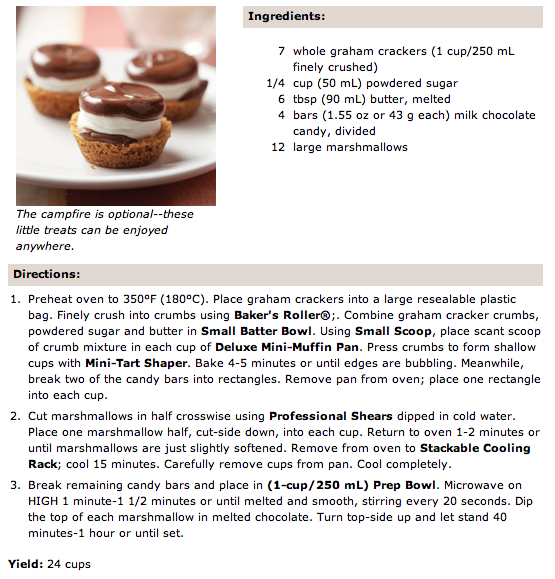 For instance, the recipe tells you to use their Professional Shears dipped in cold water to cut the marshmallows. Ok… or you could use a knife? Maybe? I don’t have a Mini Tart Shaper (the shame!) 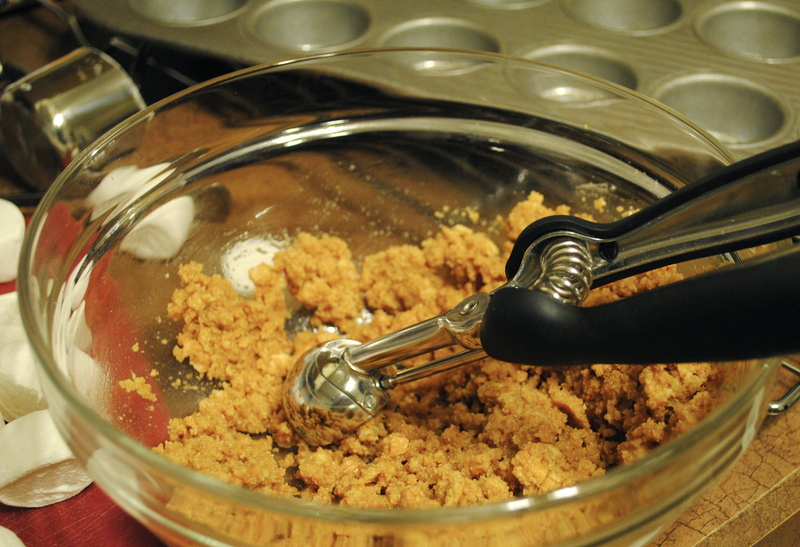 so I used the end of a citrus reamer to press down the bottoms. You could also use a thumb. Make sure you really spray/grease the heck out of the muffin pan or these suckers aren’t coming out. Mmmm – don’t they look great? How could they possibly get better? Oh right, by dipping the tops in chocolate. The recipe makes 24 but they go fast so you may want to play it safe and double it! these look like heaven!! totally going to try them this year. thanks!! I used semi-sweet chocolate and it was perfect. 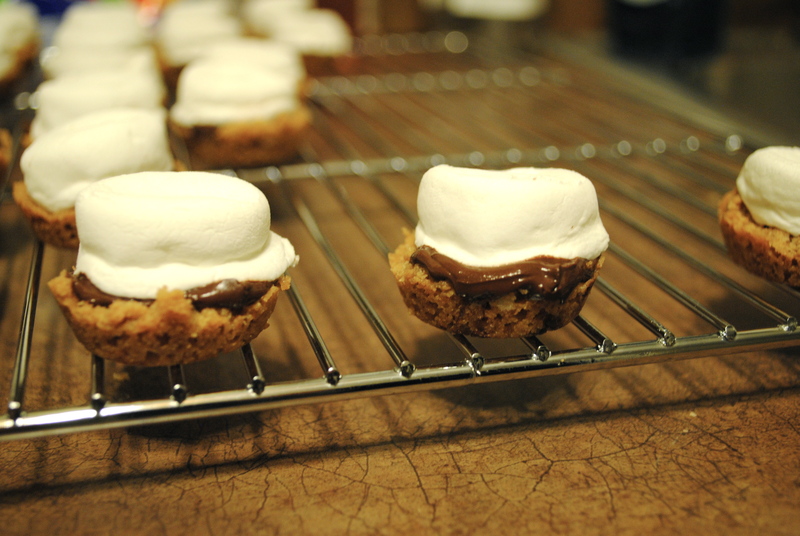 Yum….they are amazing and I hope they were the hit of the party you brought them too! 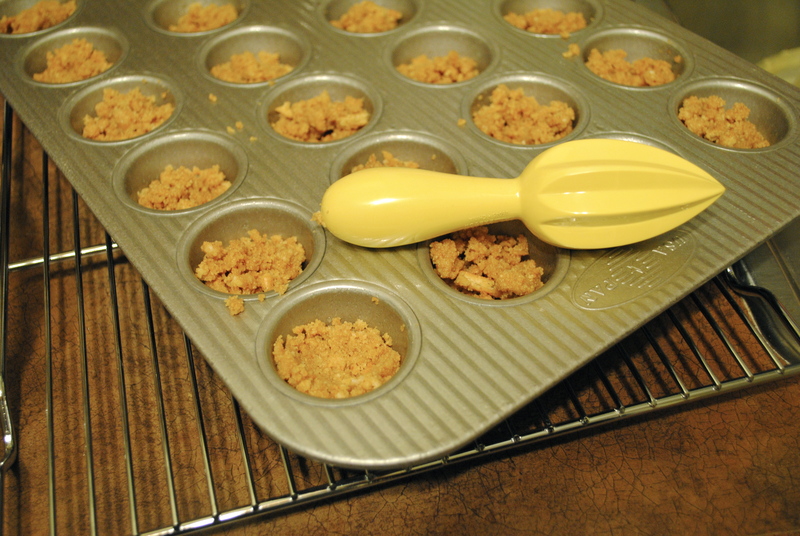 I have one of those bendable mini muffin trays, which makes them pop out really easy and no greasing needed.